The Lancashire LGBT Quality Mark is our new quality assurance programme for service providers. First introduced in 2015, the Quality Mark was developed as an updated version of the former Navajo LGBT Charter Mark. The Quality Mark programme provides organisations and service providers with self-assessment audit tools to help measure how well the needs of lesbian, gay, bisexual and trans service users, volunteers and staff are being met. Using the results of the audit, organisations can work with us to develop and implement bespoke action plans to improve service provision for LGB&T people accessing the organisation. For further information about how your organisation can achieve the Lancashire LGBT Quality Mark, please click here. These events are a ‘working day’ for organisations and agencies to learn more about how to better engage with LGB&T communities in Lancashire as well as reduce the existing barriers to accessing services which many LGB&T people experience. We worked in partnership with Cinema For All to enable a group of volunteers to put on a series of five LGBT community film screenings in Preston (2), Blackburn, Lancaster and Rossendale over a period of two months, which was a huge success. 16 volunteers were involved at various times in the project, with about 10 forming the core group. 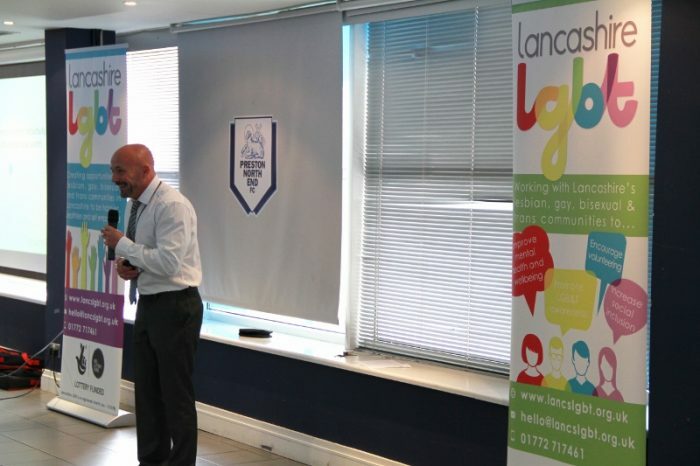 Funded by Big Lottery Reaching Communities from 2015-2018, With Out Barriers built on the previous successes of the Isaac Hitchen Project and aimed to further reduce social isolation and improve the mental health and wellbeing of LGB&T people in Lancashire. 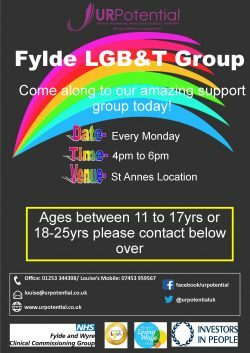 • Continuing to provide and support a range of social support, peer support and cultural opportunities for LGB&T people in Lancashire. For more information about groups and events taking place near you, take a look at our Events Calendar. • The development of specialist support for trans people and people undergoing transition in Lancashire such as befriending networks, a dedicated information and support helpline, practical workshops and residential trips. If you would like to find out more about how you can access this support, see our Trans Support page. • Ensuring that LGB&T people in Lancashire have a stronger community voice and are visibly represented in local decision making by consulting with LGB&T people on issues that affect them. • Working with organisations and service providers in Lancashire to improve their awareness of LGB&T people and adapt their services to become more LGB&T-inclusive. In 2015, Lancashire LGBT became a Stonewall School Champions training partner. Funded by Government Equalities Office and Department for Education, the Stonewall School Champions programme provides Train the Trainer courses to headteachers, teachers and pastoral staff in primary and secondary schools. The training gives schools the knowledge, confidence and tools to train their staff to recognise and tackle homophobic, biphobic and transphobic bullying in educational settings and helps to create healthier and safer school environments for young people who may be questioning their sexual orientation or gender identity. For more information about the Stonewall School Champions programme, please see our Training Packages page. Funded by Big Lottery Reaching Communities between 2012 and 2015, the Isaac Hitchen Project was developed as a response to an extensive piece of consultation with LGB&T people in Lancashire. Amongst other things, this research found that a significant proportion of LGB&T people in Lancashire were experiencing social isolation and mental health and wellbeing issues and that the specific needs of LGB&T people were not being sufficiently met by service providers. 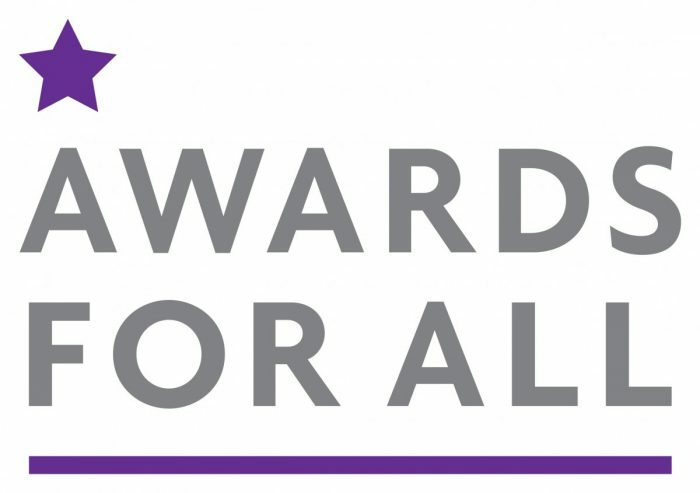 From June 2015 to April 2016, Lancashire LGBT, together with another 29 LGBT organisations across England and Wales, was part of the National LGBT Hate Crime Partnership: an initiative funded by the Equality and Human Rights Commission and facilitated by the National Consortium of LGBT Voluntary and Community Organisations. Our contribution was part of a National Programme of training and skills development to increase awareness and knowledge of local, regional and national LGBT hate crime reporting mechanisms. We delivered hate crime awareness training to a range of organisations including the Crown Prosecution Service, Witness Service and Lancashire Police. In 2015, Lancashire LGBT and UR Potential were funded by NHS Fylde & Wyre Clinical Commissioning Group to deliver a ‘targeted hard-to-reach engagement project’ aimed at gathering the experiences of LGB&T people accessing routine healthcare services in Fylde and Wyre. The aim of the project was to increase GPs’ understanding of LGB&T issues and improve healthcare service provision for LGB&T people by developing a specific LGB&T Charter of Values for GP Practices. Throughout 2015, Lancashire LGBT conducted pieces of consultation and research on behalf of Healthwatch Blackburn with Darwen and Healthwatch Lancashire. Both pieces of research involved consulting with LGB&T people to gather their experiences of accessing health and social care services in Blackburn with Darwen and wider Lancashire, respectively. These pieces of research have been instrumental in highlighting and tackling the health inequalities and barriers to accessing health and social care services experienced by LGB&T people in Lancashire. Both research reports are freely available to read online. To take a look at the Healthwatch Blackburn with Darwen report, you can click here. 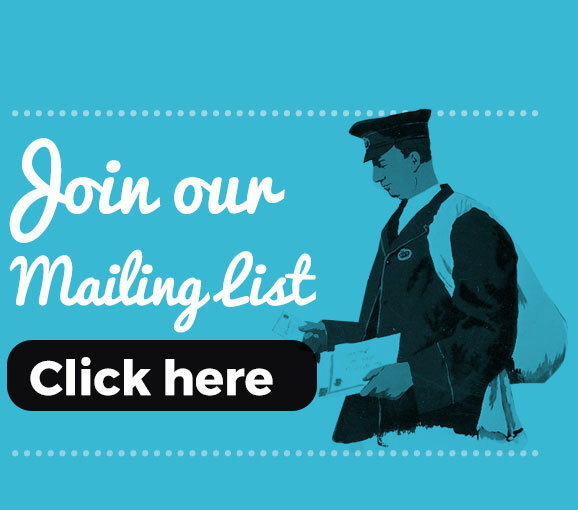 And for the Healthwatch Lancashire research, please click here. Schools Out was a pilot project funded by Awards for All to raise awareness in schools across Lancashire about the issues children, young people (who identify as Lesbian, Gay, Bisexual or Transgender or who are questioning their identity) and their families face. The project employed a sessional worker to go into schools across the county to support them in creating positive strategies to tackle homophobia and transphobia. In 2012, Lancashire LGBT Centre and Lancashire Archives were awarded funding from the Heritage Lottery Fund to work with volunteers to research, map and celebrate East Lancashire’s LGBT past, present and future. This innovative project culminated in the development of an interactive tour of Burnley’s rich LGB&T history and was even endorsed by Sir Ian McKellen! Between 2012 and 2013, Lancashire LGBT was funded by Preston City Council to deliver the Preston Information Project. This successful project involved hosting a weekly drop-in service for LGB&T people in Preston to access information and support from a specialist LGB&T Outreach worker. Additionally, the project enabled our worker to conduct 33 outreach sessions in local LGB&T venues and distribute approximately 4000 LGB and/or T specific leaflets and resources to venues and organisations across the city.